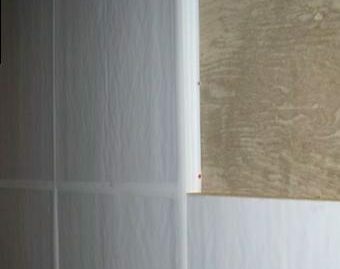 efficient way to hold insulation securely on your walls. 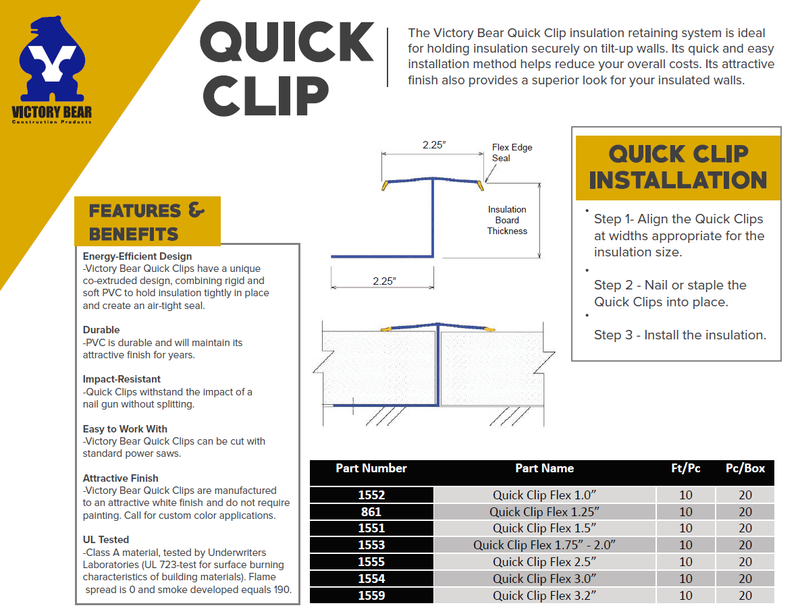 Victory Bear’s Quick Clip uses co-extruded rigid and soft PVC to provide maximum efficiency. Its innovative design is airtight and easy to use. Class A material, tested by Underwriters Laboratories (UL 723–test for surface burning characteristics of building materials). Flame spread is 0 and smoke developed equals 190. Victory Bear Quick Clips are manufactured with an attractive white finish and do not require painting. 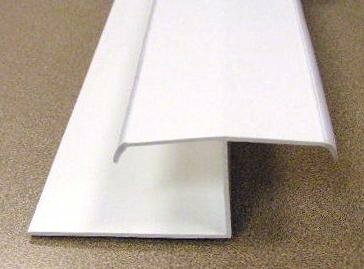 Durable – PVC is durable and will maintain its attractive finish for years. Impact-resistant – Quick Clips withstand the impact of a nail gun without splitting.